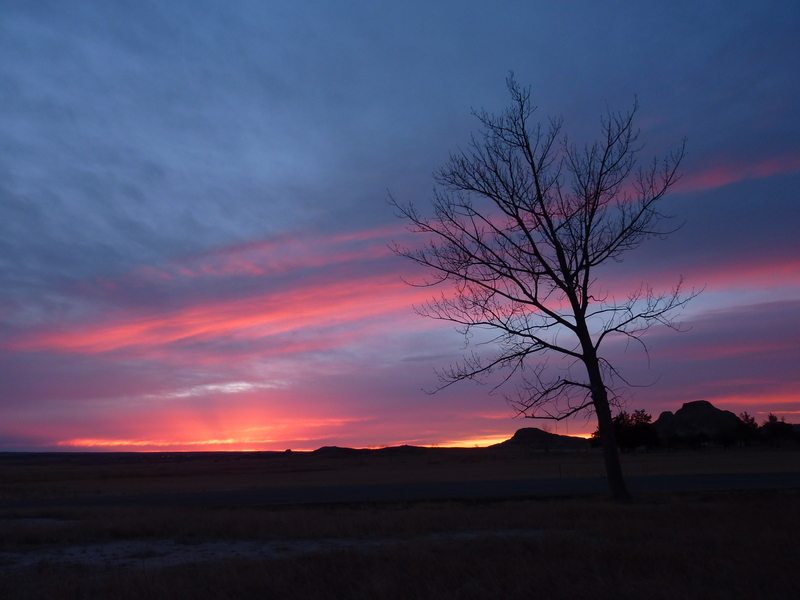 As a park ranger, I’ve lived in lots of beautiful places … but I don’t think there’s anywhere in the world that can match the Badlands of South Dakota for the beauty of its sunsets. This brilliant pink sky is from two weeks ago, the night before a major winter storm hit the area. Though all sunsets are the same, in that the earth’s rotation brings the sun slowly out of view behind the horizon, every one is different.